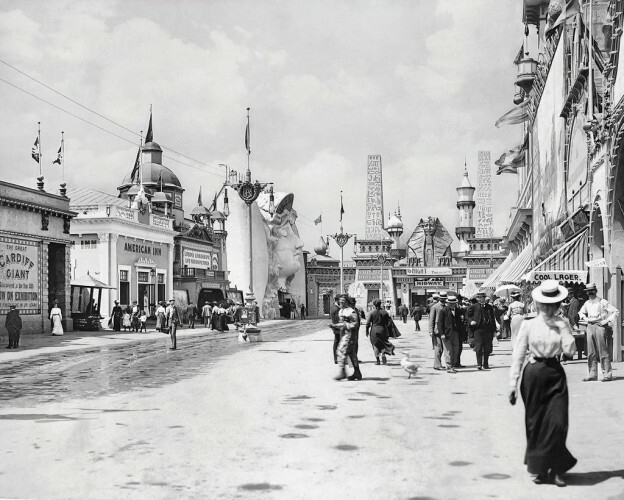 Buffalo hosted the Pan-American Exposition from May to November of 1901. Its Midway featured 42 exhibits, including the African Village, the Streets of Mexico, and many food booths. Because of Buffalo?s prime location as a Great Lakes transportation hub, immigrants easily flocked to the young industrial city. Many worked on the Midway, where they could find a village representative of their ethnicity.